There has never been a time where a fatality has looked this crisp, not to mention brutal, as NetherRealm is doubling down on the creative gore with Mortal Kombat 11. That teaser trailer a couple of weeks back might have tipped you off, but seeing the game in action is something quite different. The cinematic approach to the newly introduced Fatal Blow as well as the fatalities is probably gonna spur a discussion or two, but there’s no question about how over the top the action in Mortal Kombat is. 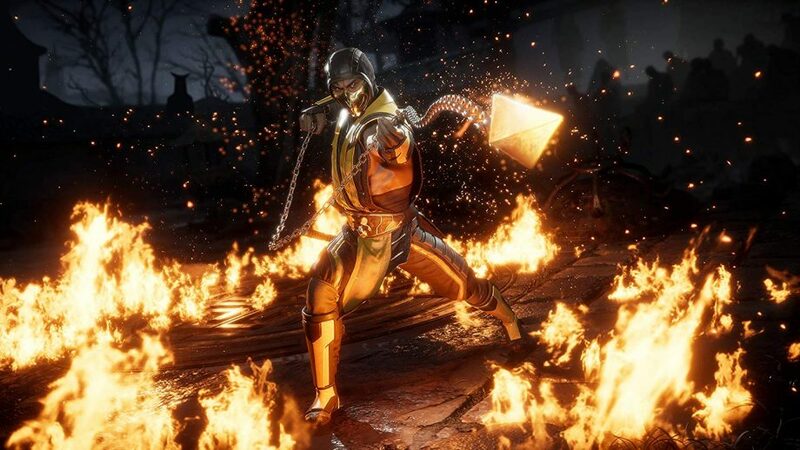 Today’s reveal event showcased a predictable yet welcome cast of characters like Sub-Zero, Scorpion, Raiden, Sonya Blade and Skarlet, but my definite favorite moment was seeing my good pal Baraka back in action. I’ve missed him and his wacky blades. Also revealed was Geras, a brand new character with sand powers and also the ability to punch someone’s brain straight out of their skull. Probably a neat skill to inhabit. If you’re wondering what Ronda Rousey is doing in the headline, she’s playing Sonya Blade. Back is of course the customization and load-outs introduced in the previous NetherRealm fighters, and if you want to have a Scorpion bust complete with the mask on your office desk, there’s a collector’s edition just for you. Check out the gameplay reveal trailer below and jump over to the game page for a bunch of new trailers.